The Codabow Diamond GX Viola Bow has been designed for professional players. 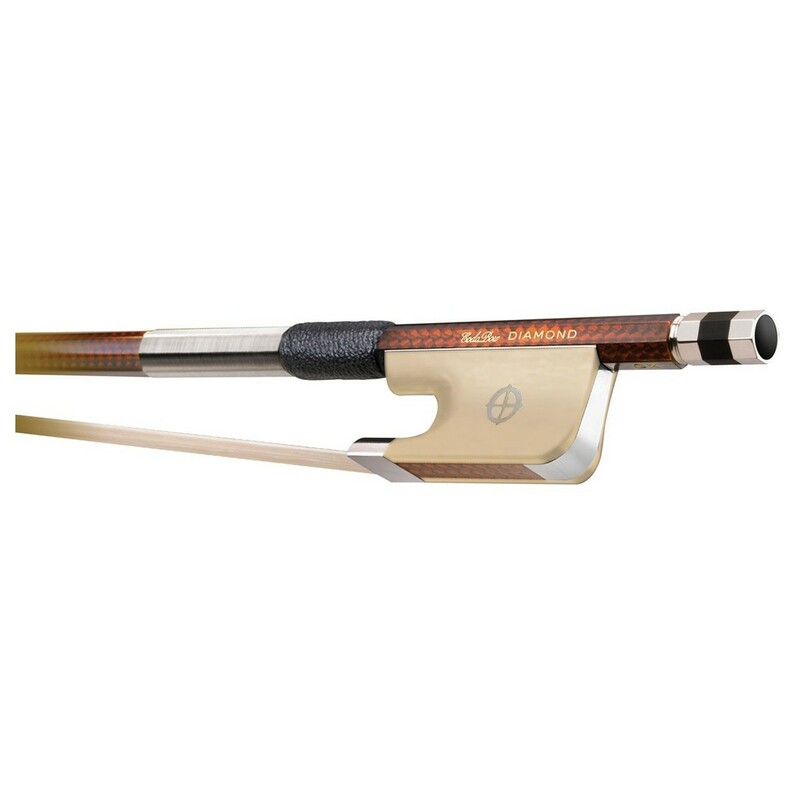 The diamond collection's GX Viola Bow is capable of performing to a standard which was once only achievable when using the finest pernambuco bows. This model features a pernambuco tint, graphite diamond weave, kevlar acoustic core, sterling silver fittings, Xebony frog with tinted carbon-fibre weave slide and gold medal stallion hair. The Graphite Diamond Weave is woven using Codabow's traditional design, producing the highly sought characteristics, strength and balance. The fibres extend from the button to the tip of the bow, ensuring an evenness of balance across the entirety of the model. The pure kevlar acoustic core fibres which run through the bow help to provide more power in the bowing action, whilst still offering the natural sensitivity and tonal characteristics of fine Pernambuco wood. Made by Walter Paulus, the traditional frog design features one of the only alternatives to the threatened supply of ebony which has been named Xebony. This material provides a natural feel which continues to impress bow makers and performers alike.